Hi everyone!! 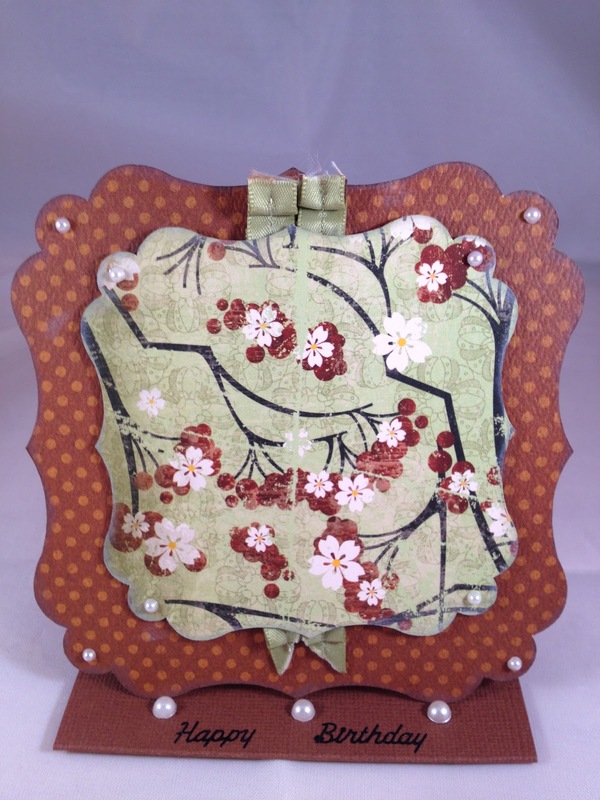 It’s Lori and this week it is my turn to post some projects for you!! I pulled out an old favorite of mine, Bundled up Mike from Whipper Snapper. Isn’t he just adorable?! I’m not sure about where you are but here in Minnesota it is a bit chilly so we need to be sure to have our hat and scarf!! 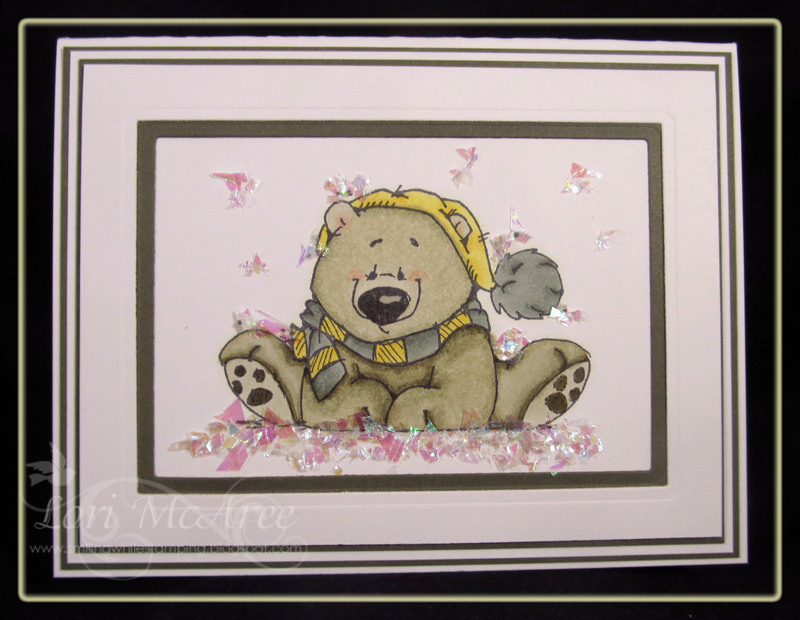 I wanted to frame this image so I used my Spellbinders Matting Basics A & B, those make it so fast and easy!! I recently purchased Stampendous Shaved Ice that I added under Mike and randomly around him. I love the different colors you get and I think it is so much fun!! I hope you enjoy and thanks so much for stopping by today!! 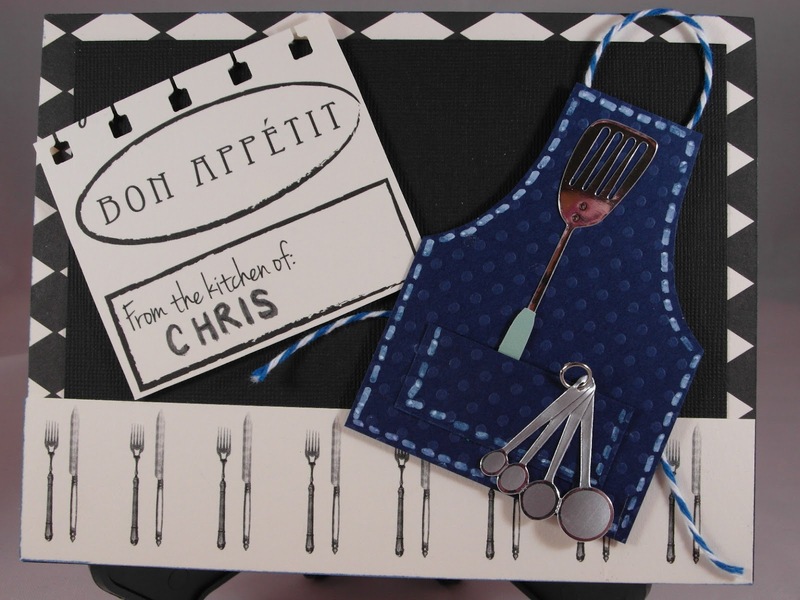 IT’S ALL ABOUT THE LOVE ON THE CRAFTY CARD GALLERY TODAY! 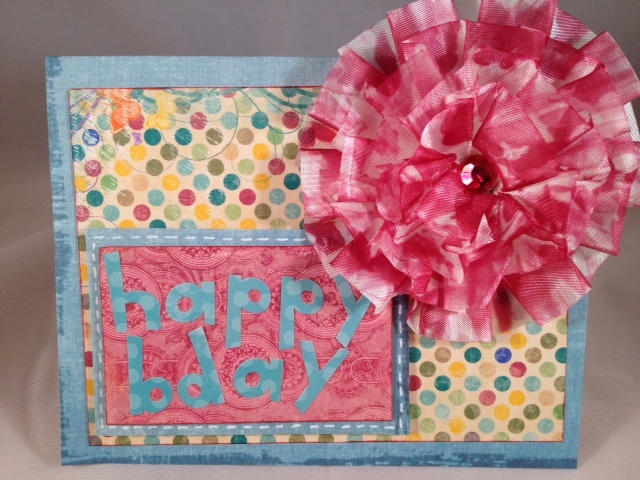 Thank you Jennifer Restivo for asking me to post a creation to share with all of the Crafty Card Gallery fans! recipient list of family and friends. – Lots of Letters stamp set by Melanie Muenchinger for Gina K. Designs. – Simple Snowflakes (heart stamp) stamp set by Tami Mayberry for Gina K. Designs. – Gina K. Designs Pure Luxury Cherry Red card stock. – Gina K. Designs Pure Luxury 80 lb layering weight white card stock. – Gina K. Designs white ribbon. – Memento ink in Tuxedo Black and Lady Bug. 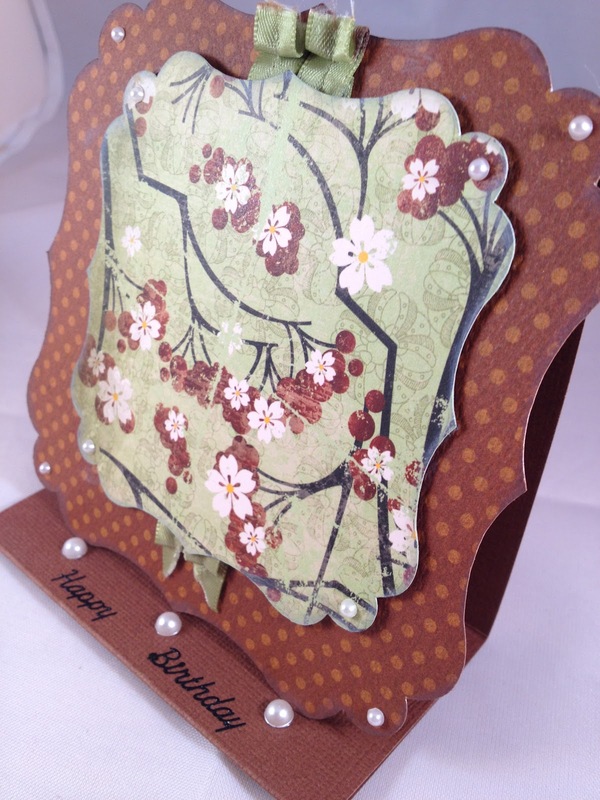 Don’t forget to hop on over to our pals at the Crafty Card Gallery for some added inspiration no matter what you are crafting: http://www.craftycardgallery.blogspot.com/. Now that the holidays are over, it’s time to start setting our eyes on the new year and the first holiday I am getting ready for is Valentine’s Day! I wanted to share a card that I recently made to check off my recipient list of family and friends. transparency using Microsoft Word and AR Christy Font. The bling on the sides is from Spare parts. Adhesive used was Zig, Xyron and ATG. The base of the card is Bazzill. these words… MERRY CHRISTMAS YA’LL!!! 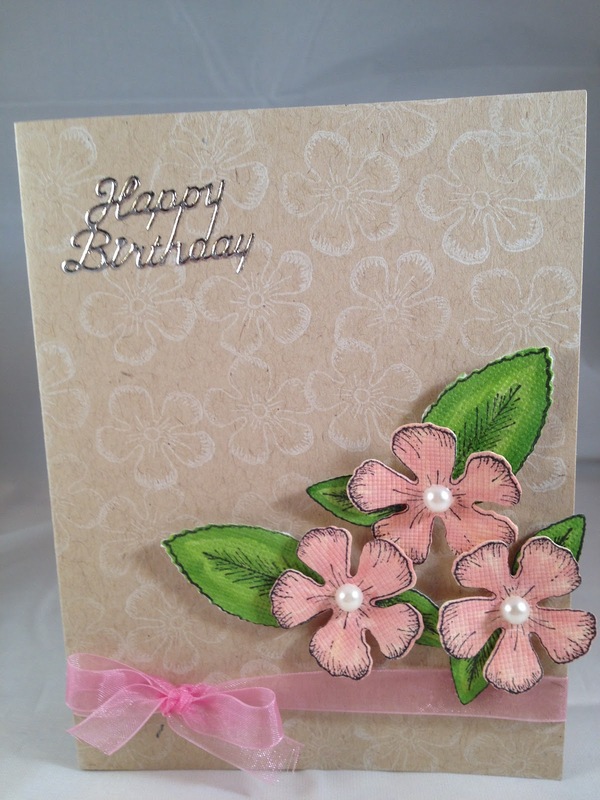 being a guest designer on Crafty Card Gallery where I’m presently on the design team. I hope you enjoy my snowy card for today!! Card. The white snowflake was cut out with a die cut from Spellbinders. snowflake and outlined the white card stock with Crystal stickles and blue lagoon ColorBox chalk. The Snow is from K and Company. I hope you have enjoyed my post today, I’ll be back tomorrow with another fun card!! Thanks Jennifer for letting me be your guest designer!! 3) I love these stamps because they’re so stinking cute, and the fun surprise in the inside of the card is super cool! 4. 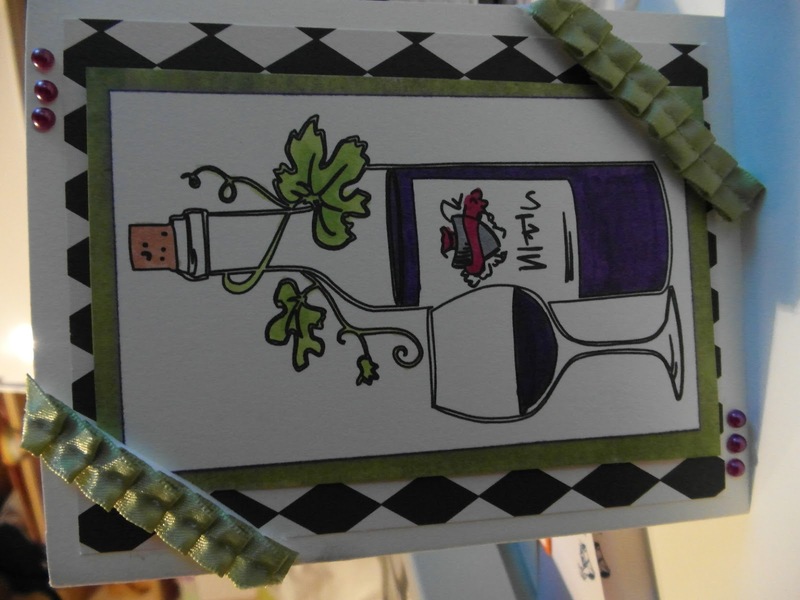 Easy-peasy card made with my Cameo. 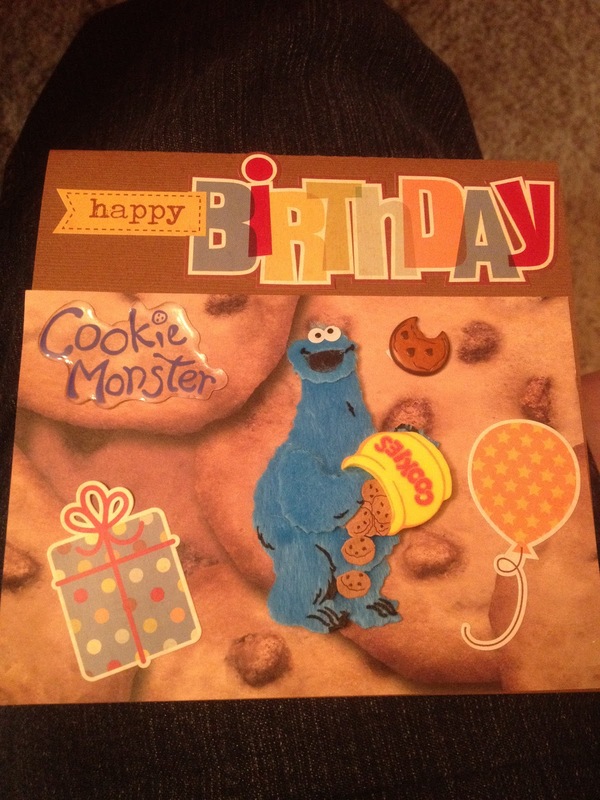 Love how easy it was and how cute the card is! 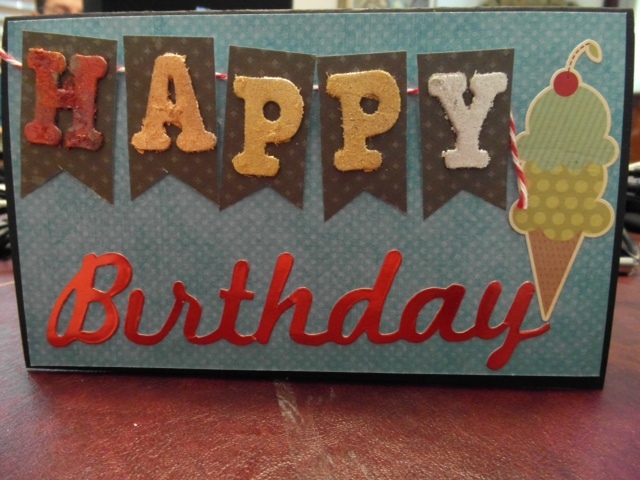 5) Card with matching cupcake holder… I think the paper is super cute and the ruffle is adorable! 6) I love the flower. I so love making ribbon flowers with Glubers, and this time I colored the ribbon with my copics. Too fun! 9) I really like the letter stickers which I put metallic flakes on…. 13) How can you not love the paper, and most importantly this super cute stamp???? I saw it & had to have it! So be sure to enter!